I know, there are wastrels out there who will drop cash on university Spanish classes, or a Portuguese language school on a tropical island. I’ve, ahem, done both, and in terms of linguistic bang for your buck, they aren’t the most cost-effective ways I’ve learned languages. Often, they’re not even the most effective in terms of learning outcomes or time spent. So while there are fantastic, cheap ways to learn a language that are much better, this post is particularly for the extreme cheapskates. Yes, you can become perfectly fluent in a language without traveling anywhere, and without spending a dime. I’ll cover the best ways to do that here—but I’ll also discuss a few methods for learning that are almost free but really, really worth it if you can scrape a few pennies together. First, we’ll take a look at the options you have online for more structure, formal learning. There are tons of lessons available out there to teach you the key grammar lessons you need to advance. If you’re lucky, your local library may have a small selection of books published in your target language. In terms of language guides, look for self-teaching books, ideally with an audio component, such as Assimil or the Teach Yourself series, rather than classroom-oriented texts. If you’re prepared to spend any money on your language learning adventure at all, though, buying at least one good book is worth the investment (you can try out options at the library before you buy). You’re going to need it for more than the several-week lending period. And printed paper is a lovely thing—I almost exclusively own e-books now, but my language guides are of the paper sort, allowing me to mark them up, flip through their worn pages and manhandle them with all of the love and anguish that language learning inspires. Use your local library to take potential learning books you may want to purchase for a test run. This will ensure that you end up with a book that you’ll actually use, and that works for you. Be sure to ask your librarian if there are more books covering more languages available offsite, as they can usually request what you need from other libraries in the area, or from a nearby college or university. There are also online reference works that are language-specific, two options that cover a lot of languages are wordreference.com (and its lovely forums where you can pose questions to seemingly out-of-work translators) and wiktionary.org. I got rid of my paper dictionaries a decade ago. Oh yeah, YouTube is a great source of free, native language videos and songs. 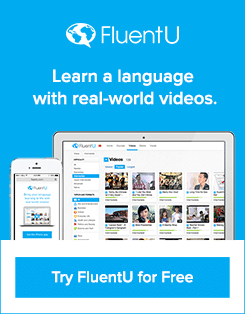 Of course, if you’re prepared to pay just a little, you can learn anything from beginner to advanced language lessons with videos by joining FluentU. Take it for a spin with their two-week free trial. You’ll be able to choose from a wide variety of authentic, real-world videos specifically targeted to your skill level and personal interests, and use an integrated learning program that helps you review and use the vocabulary and constructions that you learn by watching the videos. Now, if you’re dying to learn in an actual classroom, with a solid four walls and a real, live person teaching, then there are free and cheap options out there for you in the real world too. Let’s take a look at those! Check with community, university and employer programs for scholarships and language learning programs. You’re likely not the only one who wants your language skills to improve! Check in with the human resources office, your supervisor, your university’s study abroad programs office or office of global affairs. Let them know your interests and goals, and I bet they’ll come up with something for you. Minority and even not-so-minority languages in many parts of the world have government and non-profit programs that support their diffusion. It can be free or very cheap to learn languages like Catalan, Breton, Navajo, Serbian, etc. If you’re a true cheapskate, you might even choose to tackle one of those languages for this very reason. Just to give an example, the government of Catalonia offers heavily subsidized courses as part of its effort towards “linguistic normalization.” The more a language has the support of a government that fears for its disappearance, the more likely it is to financially support learning materials and classes. Now, we’re going to move on to less structured learning. This is great for anyone who learns well through immersion, and for learners who are reaching fluency. Self-directed, online learning can be the most efficient way to learn. It’s also the cheapest and, if you do it right, it’s free. You’re just paying with the time that it takes for you to help your language partner with their goals. Examples of how to start finding partners include free websites like Polyglot Club, italki (under the “community” menu), forums and programs specific to your target language. If you’re a native English speaker, you’re in demand. The entire world always wants to practice its English. And if you pay just a little bit on italki, you can also schedule private online lessons with professional tutors from around the world. You’re paying so as not to spend any time speaking your native language, which is what you’ll have to do with a free language exchange partner. Rather, you’re only spending time on the language you’re learning—and your time might very well be worth that cost. Paying for classes can also be worthwhile since there’s always a risk of language exchange partners being a bit less serious and flaking out on scheduled sessions. There are both professional teachers on italki as well as students and others who are simply willing to rent their time to have a chat with you in their native language, slowly, and correct your language use. Choose whatever is best for you! You can always do mostly free language exchanges, and then pay for a private, professional session every couple of months to give yourself an extra boost. These can be even more motivating and fun. Couchsurfing, InterNations and Meetup meetings can be a good way to meet people in your area who speak your target language, or you can post a message in those forums about what you’re looking for. Also look for community events and volunteer work in your target language if possible. For example, I’ve practiced my Portuguese a lot by taking Samba de Gafieira classes. If you’re in an area with a community that speaks your target language, what are ways that you can make yourself useful to native speakers while practicing? Can you volunteer with children or old people, or do community activism? Yup, this is also great (I plead guilty to using Tinder for my language goals!). Pillow talk is inevitably both more motivating and more memorable than a grammar text. Of course, to avoid bad feelings you should be honest about your intentions from the start, whether romantic, platonic, sexual or linguistic…though any of these can easily get confused once passion kicks in. I’ll leave you to decide if you’re cheapskate enough to make dating into a truly “free” activity. For most learners, writing is a goal or at least a major support of learning, and you can exchange writing help with native speakers the same way that you do oral language exchanges. A good, focused way to do this is through the site Lang-8.com. Users of the site exchange corrections of each others’ texts. It’s a great, highly organized and free way to get native speakers’ reactions to your writing. You can also look for local people to exchange help with. Translators in particular are always looking for help unraveling tricky phrases, and willing to trade for help correcting your texts. If you’re a native English speaker with friends from different lands, you’ll be hit up countless times for help correcting CVs, letters, etc. Partly to reduce the number of requests, but also for my learning benefit, I always ask these friends for help in return with correcting a text that I’ve written in their languages. If your previous excuse for not getting going on your language goals was a faulty budget, I hope I’ve blown that out of the water with this post. In general, with free options, you’re spending a little bit more of your own time and you have to be more self-motivated and self-directed. But these tend to be quite positive tendencies in other ways and will favor your ultimate success in language learning. 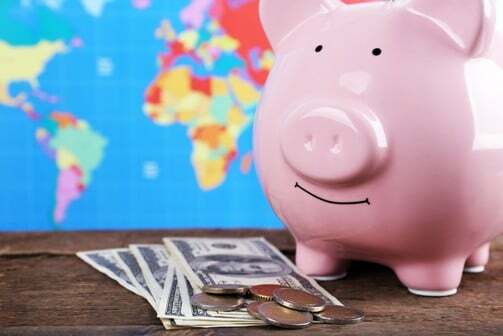 Don’t forget: You can save any extra cash for a trip to a tropical island with your library book, or your Portuguese language exchange partner. Mose Hayward is a polyglot and language learning addict who, for the good of humanity, has collected and translated every single one of the 53 Catalan expressions involving poop.